Lowell, for his part, saw himself as split between “conscience” and “instinct,” a “queer centaurish creature” whose self-insight often arrived long after the fact, as though delivered by Pony Express. Some of his best poems are pained audits of the damage he and those around him incurred as a result of his treating flesh-and-blood conflicts as clashes between allegorical opposites. In boarding school, at St. Mark’s in Southborough, he was given a nickname that stuck—Cal, likely for Caligula, the squalid Roman emperor. His life began to take shape as a series of bold strokes and renunciations, chosen at least in part for their symbolic significance. Harvard was the family school (his uncle, A. Lawrence Lowell, had been its president), but, on the urging of Allen Tate, he decamped for Kenyon College, where he was taught by the poet John Crowe Ransom. Harvard was a metaphor, as was Pound, as was leaving Harvard to study at Kenyon; his parents were, too, and his weighing of their characters was often a matter of comparing the forces they embodied. Jamison’s book is a real contribution to the literary history of New England, whose damaged sages Lowell read as a way to understand his own peril. Lowell’s New England was, as an honorary-degree citation from Yale put it, largely “a country of the mind.” He detected in the region’s authors and leaders his own struggles to untangle the imagination from madness, and treated them as though they were his intimate friends, using the same tone to describe Napoleonic generals that he used to describe his grandfather’s Scottish terrier. Cotton Mather was a “bookish” man with blood on his hands. Nathaniel Hawthorne was a fellow-student of the moods, and, like Lowell, a family man, alert to the household strains of his mysterious urges and swings. Ralph Waldo Emerson shared Lowell’s sense of the inevitability of temperament: “the iron string,” as Emerson put it, upon which the moods, like glass beads, were strung. And Henry Adams, who wrote within earshot of power his dyspeptic chronicle of failure and disappointment, suggested to Lowell how “his and our manic-depressive New England character” might be projected onto landscape and history, in the way that the region’s extremes of bleakness and abundance were internalized as emotional poles. Is there a link between madness and creativity? In her intriguing new book, Robert Lowell, Setting the River on Fire, Kay Redfield Jamison searches for answers by examining the chaotic life of one of America’s most important poets. Lowell’s struggles with mental illness have been well documented, but this volume offers something unique: a detailed review of his medical records. It’s the first time such information has been made publicly available. The book (Knopf, 404 pp., *** out of four stars) opens in the fall of 1957, with Lowell caught up in a torrent of literary output, writing poetry “like a house afire.” The Harvard dropout is working on Life Studies, which will become one of the most influential books of poetry of the 20th century. Several weeks later, in December of that year, Lowell developed severe psychosis and was involuntarily committed to the Massachusetts Mental Health Center — his fifth psychiatric hospitalization in eight years. This was a recurring pattern: periods of intense productivity, followed by monstrous fits of mania wending into depression. “My trouble,” Lowell writes to a friend, “is to bring together in me the Puritanical iron hand of constraint and the gushes of pure wildness.” This line sets the stage for a remarkable look into the life and mind of a genius. It’s familiar territory for Jamison, a professor of psychiatry at Johns Hopkins University School of Medicine and MacArthur Fellowship “genius grant” recipient. She wrote about her struggle with bipolar disorder in the best-selling memoir An Unquiet Mind and has made a career redefining the diagnosis and treatment of the disease. In her new book, we discover that Lowell was an unwanted child. His mother said she wanted to die when she discovered she was pregnant with Robert, and maternal rejection would become a recurring theme in both his extensive interactions with psychiatrists and in his writing. Translating experience into verse, Lowell mined rejection to expand the language of suffering. His prose is both illuminating and exhausting; it’s hard to read more than a few stanzas about his relationship with his mother without needing a break. The sole weakness in Jamison’s nuanced, sympathetic portrait is her presentation of mental health research. Complicated data is shoehorned into the story, disrupting the narrative, while sophisticated concepts such as genome-wide association studies are glossed over, presented without explanation, preventing the reader from truly understanding the extraordinary advances that have been made in the study of bipolar disorder. We’re brought into the most intimate moments in Robert Lowell’s life, but kept at arm’s length from the science behind his erratic behavior. Shortly before he died, Lowell seemed to be at peace with his disease and made amends with many of the people he’d hurt, including the woman who had caused him such pain. In a final act of reconciliation, he chose to be buried next to her. There are no half measures to Kay Redfield Jamison’s medico-biographical study of poet Robert Lowell. It is impassioned, intellectually thrilling and often beautifully written, despite being repetitive and overlong: A little too much would seem to be just enough for Jamison. Nonetheless, “Robert Lowell: Setting the River on Fire” achieves a magnificence and intensity — dare one say a manic brilliance? — that sets it apart from more temperate and orderly biographies. Above all, the book demands that readers seriously engage with its arguments, while also prodding them to reexamine their own beliefs about art, madness and moral responsibility. Reading this analysis of “genius, mania, and character” is an exhilarating experience. From the late 1940s to the mid-1970s, Lowell was the most admired and talked-about American poet of his generation. Scion of a privileged New England family, he counted among many distinguished ancestors two notable poets — James Russell Lowell and Amy Lowell — as well as Percival Lowell, the astronomer who sighted what he thought were canals on Mars. 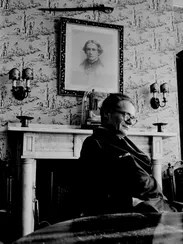 Prodigiously gifted, Lowell won his first Pulitzer Prize in 1947 for “Lord Weary’s Castle” — which includes the famous long poem “The Quaker Graveyard in Nantucket” — and still another in 1974 for “The Dolphin.” At least as important, though, is “Life Studies” (1959), which established a confessional style that would long dominate American poetry. In 1977, at the young age of 60, Lowell died suddenly of a heart attack while taking a taxi from the airport to the New York apartment of his former wife, the novelist and critic Elizabeth Hardwick. According to Hardwick and others who knew him, Lowell was — most of the time — kindly, witty and loving. Unfortunately, along with all the advantages of being born into American aristocracy, the poet also inherited a manic-depressive illness that would wreak havoc in his life and cause an immense amount of pain to his family and friends. Periodically — 16 times or more during his adult life — his entire being would accelerate, shift into hyperdrive. He would inaugurate affairs with young women, spit out torrents of hurtful abuse, grow physically violent and delusional, and sometimes identify himself with Napoleon or even Hitler. It might take a half-dozen burly policemen to subdue the over-revved Lowell, so that he might be taken away for care at McLean Hospital or Payne Whitney Clinic. There he would be given drugs or psychotherapy, both usually ineffective, or more usefully electroconvulsive shock treatments. Only in 1967 did physicians begin to prescribe lithium to control his manic depression. Because of it, Lowell would successfully manage his demons for the last decade of his life, except when he neglected to take the lithium or took too much of it. To establish her diagnosis, this distinguished professor of psychiatry at the Johns Hopkins School of Medicine and author of the best-selling memoir “An Unquiet Mind” brings to bear everything she can think of. Jamison piles on a multitude of quotes attesting to Lowell’s great genius, perhaps because the poet’s reputation has diminished since his death. Like a modern Robert Burton, she digresses into an anatomy of manic depression — she feels that the contemporary term “bipolar disorder” sanitizes the horrors of this illness — and describes the kinds of treatment available in the past to the mentally disturbed. Alongside photographs of Lowell and some of the people he loved, she reproduces his medical charts and records, having been granted special access by the poet’s daughter and executor. She also regularly underscores her points by citing Lowell’s poems, concluding her book with an extended tribute to “For the Union Dead,” that majestic meditation on history, race and valor. 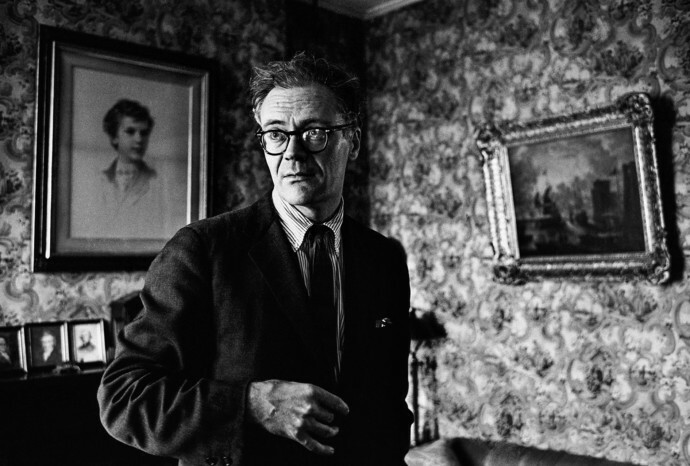 Robert Lowell, the most admired American poet of his era, was a man of extraordinary talent and drive who suffered from crippling manic depression. 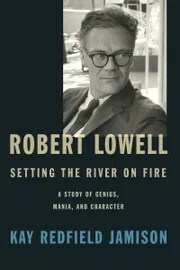 He’s the ideal subject for “Robert Lowell: Setting the River on Fire” (Knopf, 532 pp., $29.95), Kay Redfield Jamison’s superb examination of manic depression and its connection with creativity. Lowell (1917-1977) led a life of incredible highs and terrifying lows. He won the Pulitzer Prize twice for his poetry collections, in 1947 for “Lord Weary’s Castle” and in 1974 for “The Dolphin.” The highs were interrupted by long, debilitating bouts of mental illness, often ending in hospitalization. In 1949, two years after winning his first Pulitzer, he told friends at the Yaddo writing colony that God was speaking through him. In Chicago, he held his friend Allen Tate out of a second-story window “while reciting Tate’s poem ‘Ode to the Confederate Dead’ … Later, Lowell opened the window in his hotel room and shouted obscenities to the world beyond. It took four policemen to overpower and handcuff him,” Jamison writes. Q: How did you decide on Lowell as a subject? Were you drawn to the story of his illness, or to his poetry, or both? A: I was attracted to both his poetry and to him as a person of remarkable courage. When I was 17, I had had my first breakdown, and one of my English teachers gave me a couple of his books. I found them fantastic. Q: He was an unusual man — highly creative, suffering from manic depression but with incredible ambition, a Puritan work ethic and an ability to endure suffering. Is that combination unique? A: I think it’s very unusual for anybody. He started with an extraordinary mind. He had enormous discipline that allowed him to channel his energy, both pathological and normal. I think he took suffering and turned it into something that was powerful to other people as well as himself. He had a way of coming back to life after enduring a great deal of pain. A: In the Lowell family, there was a lot of creativity. The Lowells had poets and writers … and a lot of capability in business, mathematics, astronomy. The research was both pleasure and privilege … you take one person and you see all these links to the history of psychiatry, the history of mania, seeing how people struggled with what to do in a humane away but were not able to curtail it. Q: His family authorized you to review his medical records. What was their motivation? What did you decide to use, or not? A: I spoke with his daughter at great length. I had not been planning to speak with her or ask for the medical records — I was not writing a biography, and I thought the Lowells had already been invaded quite a bit. A person who knew her well and had done research into Lowell’s poetry suggested we get together. I think she trusted me to do everything I could to be straight about it. … I wasn’t in it for sensational findings, but for what he had to say about his illness, and what his doctors had to say about his treatment and his illness … how mania affected what he thought and how he expressed it. I think most of his doctors liked him very much. Most people who knew him really loved him and admired him. They were frightened of him when he was manic, but (they knew him) as someone who had no control over it and was immensely remorseful. Q: The women in Lowell’s life, especially his three wives (Jean Stafford, Elizabeth Hardwick and Caroline Blackwood), endured a lot. He had innumerable affairs, launching them on the “up” side of the manic-depressive cycle, ending them on the downward plunge into depression. How did that affect your view of him? A: I suppose I put it in the context of his basic character, as a strong, admirable character who does things that are not admirable. We’ve known since time began that having a lot of affairs can be part and parcel of mania. Violence likewise. These are things that are very difficult to reconcile with being civilized. Elizabeth Hardwick was an enormously strong, intelligent woman. … People say she was a martyr, but she made it clear that she saw his illness and she loved him till his dying day. … To me what makes it such a human story is you have this great intellect and mind and imagination, with this huge flaw. It’s pure tragedy. Q: I’m guessing that the story of Lowell’s illness and its impact on his family and friends will resonate with anyone with a loved one suffering from manic depression. What is the most problematic thing about treating it? A: Getting people into treatment and getting them to stay on treatment. In psychiatric illnesses, particularly bipolar illness, it’s hard to get them to take the medication. Particularly younger people — if you tell someone that age (the age of onset for manic depression is often ages 17-18) that you have an illness that you can only control through medication, it’s pretty hard for people that age to believe that they’re not invulnerable. … adolescents are much more effective at getting other adolescents to stay in treatment than adults are. 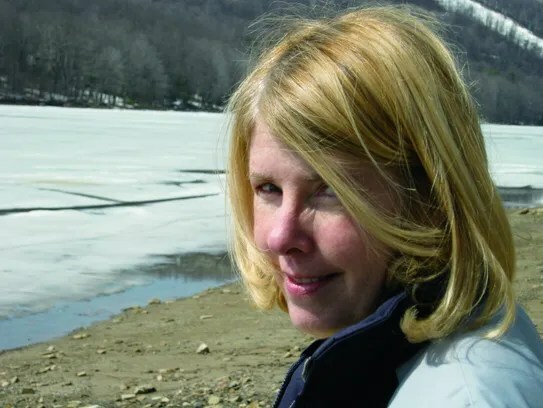 Kay Redfield Jamison’s new book describes how Lowell’s manic-depressive illness influenced his life and work. “His manias tended to lead him into writing a fresh kind of poetry,” she says. This is FRESH AIR. I’m Terry Gross. Mood disorders can be dangerous for the people who have them and heartbreaking for the people who love them and watch them transformed by the extremes of mania and depression. Mood disorders seem to occur disproportionately in writers and other artists. My guest, Kay Redfield Jamison, has written extensively about the connection between bipolar disorder and creativity. She’s the author of the book “Touched With Fire: Manic-Depressive Illness And The Artistic Temperament.” Her memoir, “An Unquiet Mind,” is about her own bouts with the extreme mood swings of manic depression. She’s a professor in mood disorders and psychiatry at the Johns Hopkins University School of Medicine. Kay Redfield Jamison, welcome back to FRESH AIR. What did you want to learn about the connection between bipolar disorder and creativity, or as your subtitle puts it, genius and mania, by writing this book about Lowell? KAY REDFIELD JAMISON: My primary interest wasn’t writing about Lowell, whose work I love. I love his poetry and his prose. But one of the things that I’ve been interested for a very long time is the relationship between – why is it that from ancient times to present science, the relationship between creativity and particularly mania and depression has been so emphasized? It’s controversial. People think sometimes it’s a romanticization or reductionist. But in fact, in recent years there’s been a great deal of science over very large populations of subjects looking at this. And I’ve had a great love for Robert Lowell since I was 17 years old and I had my first very bad psychotic break. And one of my English teachers had given me a couple of volumes of Robert Lowell’s poems and said, I think you might find this – something you would like. And it’s one of those things where art really did make a difference. You know, I mean, he’s stayed with me ever since. GROSS: He’s written great descriptions of mania and depression in his poetry and in his letters. The subtitle of your book, “Setting The River On Fire,” comes from one of his poems called “Reading Myself.” And do you want to quote those two lines? JAMISON: He says, (reading) like thousands, I took just pride and more than just, struck matches that brought my blood to the boil. I memorized the tricks to set the river on fire – somehow never wrote something to go back to. It’s a quite haunting and emotional poem, a short poem. And it summarizes in many ways that kind of relationship. He did set the river on fire. He was – one of the things, I think, that ties kind of a manic temperament with a particular kind of art is that determination to set the world on fire, not to just paint on a very small canvas. Lowell never painted on a small canvas. He took the world for his canvas and just went with it. GROSS: So when he writes that he (reading) struck matches that brought my blood to a boil, I memorized the tricks to set the river on fire, it sounds like he is intentionally setting off mania, hoping to mine it for poetry. So did he have ways of bringing on mania for the purpose of writing? JAMISON: Yes, I think he probably didn’t do it so much consciously. But what – he was very aware, and his doctors observed it and many of his friends and colleagues observed it, that his manias tended, at the beginning of his manias, to lead him into writing a fresh kind of poetry, a lot of poetry. And a lot of that was very bad poetry that he then edited and worked with sometimes when he was depressed, sometimes when he was – when he was normal. But what he was very aware of was that when he started writing poetry a lot that he was on the edge and he was pushing it. And sometimes he pushed it. But I think it was not so much a conscious desire to, you know, set off mania as the fact that the mania it was probably coming on anyway and he just kept going, as most people will. GROSS: So again, continuing with his writing, he described mania as, like, striking matches that brought my blood to a boil. He described depression as dust in the blood, which is a great description. GROSS: You also get the sense that he knows something’s flowing through him because he uses blood imagery for both mania and depression. GROSS: So it’s something within. You know, it’s his essence. JAMISON: Yes. And I think that as you say, his letters are so extraordinarily well-written and simple, in many ways, and direct. And one of the things he writes about time and time again is how tied to his temperament and who he is are these manias and depressions. And that he wishes otherwise, but he knows that that is – you know, the fear of them is part of him. The experience of them is part of him. The repercussions to him of mania and what he did to other people when he was manic are part of him. So he, more than most, just assumed that that experience and that possibility of experience and that possibility of getting out of control was, you know, built into his blood, as he said. You know, and as you – as you described, he used blood and he used fire throughout his poetry. GROSS: You had access to Robert Lowell’s medical records. GROSS: Were you able to correlate his writing and his manias and depressions and see exactly when his most fertile times were and when the mania got out of control and he was just unable to function? JAMISON: Up to a point. But, you know, if you go to manuscripts – and there are in Lowell’s cases so many versions of the same poem written and rewritten and – again, a part of that discipline of writing and rewriting and rewriting. But what was very clear was first of all, Lowell’s own writings about what he thought. He thought that he produced a lot of work that he most valued when he was beginning to get manic and then worked on it and sculpted it. You know, it was like he created this huge volcanic spewing and then he had to come back and sculpt it a bit. Not a bit, a lot. But his friends also talked about it and his doctors. He talked to his doctors about it. And he said, I need this. I want this. But I’m terrified of it. He also had friends – a lot of friends who were writers and poets. Most of his friends were writers and poets. And many of them described this process of as he would begin to get excited, get enthusiastic – as he called them, pathological enthusiasms – he would get more and more fluent. His words would veer off more and more into associations that were just getting a little bit more out of control. And then how he would bring this iron will and this great mind to, you know, putting them into shape, into poetry, often when he was depressed. And he felt that that was one of the functions of depression in his life, as much as it was painful to him, was that it was a time when he was obsessing over words, hypercritical, and went back and rewrote and rewrote and rewrote. GROSS: He was hospitalized how many times over the course of his life? JAMISON: About 20 times for mania. All of his hospitalizations except for one were for mania and very severe mania. I mean, the kind of mania where – you know, he was a big man. He was 6-feet-1. And he would be taken off to McLean Hospital by four or six Boston police officers. He just had a virulent form of what we call bipolar and what was called in his time manic-depressive illness. GROSS: Was he aware of his mood swings, the extremeness of his mood swings as a mental disorder, as an illness? JAMISON: Absolutely, and very articulate on it. And I think also very willing to write about it and unbelievably capable about writing about it. I mean, one of the things – if you read a lot of memoirs or writings or poetry by people who’ve experienced mania or been severely depressed, it’s often poignant and powerful, but not powerful in the sense that – Lowell’s kind of crystalline version of it. I mean, just of paring it down to the bare essentials. GROSS: Who he was married to for 20 years. And she was a great writer, too. JAMISON: Who he was married to. JAMISON: Right. And one of the very powerful things about their marriage is that she was of course an astonishingly good writer. And she went through all of this with Lowell. And she was very honest about it and very direct. And she loved him very much. And she believed in him completely. And she was utterly loyal to him. And she saw this as a disease. She didn’t see it as a character flaw. But she also never minimized the pain and suffering that it brought her and other people. So his accounts of his own illness and her account of his illness and the effects of his illness are some of the most powerful that I’ve ever read in psychiatry psychology. GROSS: If you’re just joining us, my guest is Kay Redfield Jamison, who has written extensively about the connection between creativity and bipolar disorder. Her new book focuses on Robert Lowell, the Pulitzer Prize-winning poet who had bipolar disorder. The book is called “Robert Lowell, Setting The River On Fire: A Study Of Genius, Mania And Character.” We’re going to take a short break. And then we’ll be right back. This is FRESH AIR. GROSS: This is FRESH AIR. And if you’re just joining us, my guest is Kay Redfield Jamison, who is a professor in mood disorders and a professor of psychiatry at the Johns Hopkins University School of Medicine. And she has written extensively about the connection between bipolar disorder and creativity. And her new book focuses on the Poet Robert Lowell. It’s called “Robert Lowell, Setting The River On Fire: A Study Of Genius, Mania And Character.” And she, herself, has bipolar disorder and has written a memoir about that, as well. That was published a few years ago. So Robert Lowell went through manic periods, when he’d become very obsessed with religion. He grew up in a family of Episcopalians. But at the age of 30, he converted to Catholicism. And he became kind of extreme and obsessive about it. In what ways? JAMISON: Well, he actually converted earlier than the age of 30. I think he found in Catholicism a passionate emotional state that was consistent with what he was experiencing. And the language system of metaphors and history, that gave him what he needed to try and understand his experience, his passion, his intense calling and spirituality, and at times his religious delusions, that he found Catholicism and the theology of Catholicism. He read extensively on it. And Catholicism gave him words and a history for his experience. GROSS: So there were times during manic periods when he had religious delusions, including thinking that he was the Messiah. Who did he think he was – did he think he was Christ, or? JAMISON: He thought he was different people at different times. He thought he was variously Alexander the Great, Dante, Christ. In his early hospitalizations, he thought he was the Messiah. He thought he was Christ and could walk on water. He told his doctors that, you know, he walked on the Sea of Galilee. As time progressed, the people, the identification changed. You know, but he was Napoleon. At times he would be in the hospital, and he thought he was Dante or once or twice T.S. Eliot. And he would sit there revising “The Waste Land,” taking out every other line and from his point of view, both thinking he was T.S. Eliot and that he was improving Eliot. So he thought he was many different people. I think what they have in common, which tends to be the case with manic delusions, is that they are people writ on a large page. You know, these are people who are larger than life, who have inordinate power, inordinate capacity to see and do and write and be things that most people will never be. And that’s not at all uncommon in manic delusions. It’s just in the case of Lowell, he wrote about it so extraordinarily well. GROSS: Lowell was first hospitalized for bipolar disorder in 1949. What were the available treatments then? What was he initially given? JAMISON: The treatments at that time were, as you can imagine, limited. They included hospitalization, which was actually effective in the sense it protects people. And Lowell felt protected when he went into the hospital. He didn’t like going to the hospital, not very many people do. But he felt he at least was protecting himself from the damage that he would do to other people. They also had electroshock therapy, which was then and remains a very effective treatment for acute mania. The problem with electroshock therapy is that it doesn’t prevent future episodes. It treats the acute episode. So it was only when he was put on lithium many, many years later, that he was able to be in a situation where he thought he would not have more episodes. GROSS: And electroshock therapy then was not what it is now. JAMISON: No. It was not as safe as it is now. And it was not as effective in the way that now as, you know, people just know a lot more about how to use it, how much to use, for – under what circumstances. And people at that time were not protected in the same way that people are now in terms of, you know, possible damage to bones and everything. I mean, that doesn’t come up now. And memory difficulties are much less severe now than they were in some people earlier on. So it’s an improved version. But even at that time, it was the thing that really turned his mania around the first time he was hospitalized in 1949. When he went in, he was ravingly (ph) mad. And the shock treatment worked. And, you know, through the next 10 years or so, when he got shock treatment, it worked. And he thought it worked. His doctors thought it worked. His wife, Elizabeth Hardwick, thought it worked. It just wasn’t ideal in terms of being able to prevent him from getting sick again. GROSS: Lowell was married three times. The longest marriage was to Elizabeth Hardwick, his second wife. And that marriage lasted 20 years. And when his third marriage broke up, he went back and lived with Elizabeth Hardwick, not as husband and wife, but just as close friends. She wrote a wonderful memoir that had a lot to do about being married to him and the difficulties of that marriage. Did she have a mood disorder, too? JAMISON: I don’t think so, but I don’t know. I didn’t – you know, I didn’t look at her. She drank too much, certainly, on occasion. It was not uncommon in that day and age, but I don’t know so much her psychiatric history. I sort of deliberately avoided that. What she did do, from my point of view, that was remarkable as I said was her ability to see his illness, which was highly personal because, like people who’ve had mania that have been observed over the last 2,000 or 3,000 years, people, when they get manic, often have affairs. I mean, not everyone, but it’s actually one of the symptoms of mania. They spend a lot of money. They can be physically violent. They can be unbelievably verbally cruel and go after people. And these – this is in people who would no more ordinarily do that thing, that kind of thing. And in fact, Lowell was a soft-spoken man, kind to people. People loved him. His friends loved him deeply. But when he got sick, he did some pretty terrible things. And one of the things that I think Hardwick was able to do was sort that out to a remarkable degree and stand by him as long as she could. And then he actually left her for another woman, Caroline Blackwood. But, you know, it was a remarkable marriage and relationship, and it was a relationship between two terrific writers, you know? He’s a great, great poet, and she was a really extraordinary writer, you know. So they had a very lively social life with other writers. They had a personal life that was very meaningful, a daughter that was deeply meaningful to them both. So they had this very rich life. And then this tragedy, you know, would come back and back and back and back again. GROSS: What are some of the things she had to put up with as Robert Lowell’s wife? JAMISON: Well, I think that perhaps most embarrassingly to her was that when he began to get manic, he typically would get involved with a woman, fall in love with somebody, decide that he was going to divorce Hardwick, sometimes would get an apartment, buy an apartment for this woman, and this would be all very, very public. And when he came out of the hospital and was well, he had no interest in the woman. It was just a, you know, literally a manic relationship. And she had to deal with that, you know, and it’s one thing you can say, well, of course, it is a clinical symptom of mania in many people, and it is. And if you treat and study mania, you see it all the time. That doesn’t make that easy to live with. You know, it’s a very public humiliation and a betrayal and a great hurt. And you know, so that was one thing. And he was, as I say, verbally abusive, you know, say – he was incredibly articulate obviously and he could say withering things to friends, to other poets, to her. And he – after he was well, he just said over and over again I can’t stand the fact that I did that. He would be deeply remorseful. It’s like being inhabited by another creature. GROSS: My guest is Kay Redfield Jamison, author of the new book Robert Lowell, Setting The River On Fire. We’ll talk more after a break. Also Lloyd Schwartz will review the new DVD and Blu-ray release of the Orson Welles film “Chimes At Midnight,” and Kevin Whitehead will review a new CD by alto saxophonist Miguel Zenon. I’m Terry Gross, and this is FRESH AIR. GROSS: This is FRESH AIR. I’m Terry Gross back with Kay Redfield Jamison who has written extensively about the connection between bipolar disorder and creativity. She’s best known for her books “Touched With Fire: Manic-Depressive Illness And The Artistic Temperament” and “An Unquiet Mind,” her memoir about her own manic depression. Her new book, “Robert Lowell, Setting The River On Fire,” is about the poet Robert Lowell and how bipolar disorder affected his life and work. Lowell died in 1977 at the age of 60. GROSS: …What it was like to be his student during one of his manic periods. I’m going to just read a few lines from that. (Reading) In the thin classroom where your face was noble and your words were all things, I find this boily (ph) creature in your place, find your disarranged, squatting on the window sill, irrefutably placed up there like a hunk of some big frog watching us through the V of your woolen legs. Even so, I must admire your skill. You are so gracefully insane. We fidget in our plain chairs and pretend to catalog our facts for your burly sorcery or ignore your fat, blind eyes or the prince you ate yesterday who was wise, wise, wise. It must have been just amazing to be his student and be able to learn from his brilliance and then watch him through these manic periods when he was really, you know, out of control and difficult to relate to. JAMISON: If you read Anne Sexton and what she says about Robert Lowell, she says what many women writers say is how – and certainly, obviously in his relationship with the great poet Elizabeth Bishop – he was enormously supportive of them, you know? He helped them a lot. So on the one hand, you have this kind of series of relationships when he’s manic with people that – with women that are destructive, sometimes to the women, always to his marriage. But on the other hand, you have these women writers who say to the person, you know, what an extraordinarily supportive person he was of their work and of their poetry, often getting grants for them, often lining up fellowships for them and so forth. And I think one of the things that Anne Sexton addresses is you see how terrifying it is to see someone who is fundamentally kind and soft spoken and gentle and concerned about people, to see that person change into something you don’t recognize, it’s terrifying. And I think too that the question for me is from the point of view of character is, yes, those things happen to students, yes, it was traumatic. But what did it take Lowell to show up after he came back from a hospital and show up and teach again? You know, what does that feel like? You know, what kind of will and character does that take to show up when he was usually depressed, always deeply remorseful, humiliated? I mean, the word humiliation and shame come up in his records over and over again just how humiliated that he could have treated people like that, said the things that he did. And somehow, he had to get back into life again. GROSS: Lowell was eventually put on lithium. I mean, he was treated for manic depressive disorder for, you know, several decades, for over three decades. So the treatment changed over time. But he spent many years on various doses of lithium. Do you know how the lithium affected his ability to write? JAMISON: It’s very complicated, and it’s hard to say. I think his friends had very mixed feelings. I think, by and large, they thought the lithium helped him stay out of hospitals and stay better. And several of his friends thought that it helped his work or at least sort of stabilized his work. Others felt differently. Other people felt that he was just not writing as clearly or was just writing too much. You know, there’s a little bit of a controversy about whether his work deteriorated toward the end of his life. I think a lot of people, including myself, feel that his last book of poems, “Day By Day,” was just a heartbreakingly beautiful, compassionate, deeply human book that looked at death and love and madness in a way that – well, it’s just heartbreaking. Other people felt like this – it was not the same kind of poetry as his hugely original, just bursting onto the scene with his lightning bolt of “Lord Weary’s Castle” and “Life Studies.” So, you know, there’s always – controversy follows around Lowell and, I suppose, any poet about, you know, what’s good, what’s bad. But certainly, at the end of his life, as his friend and great poet Frank Bidart points out, you know, the last two poems that he wrote just before he died in the summer before he died are staggeringly beautiful. So it’s hard to say. GROSS: Bipolar disorder often comes on in a person’s teenage years. So you’ve been speaking a lot on college campuses in addition to teaching at Johns Hopkins because students are among the people who might be starting to experience the effects of bipolar disorder and not really understand what’s going on. GROSS: So what do you tell students when you speak? JAMISON: Well, I tell them a lot and I try and listen. I tell them, you know, if I’m talking to kids who have bipolar illness and it is the age when it’s likely to first occur, I tell them, look, it’s a bad illness and it’s a great time to get it. You know, that you – there’s no easy way to get through this illness. And anybody who tells you otherwise doesn’t know what he or she’s talking about. And, you know, it’s going to be really, really hard. And if you start from the supposition that it’s going to be hard, it’s very different from just thinking it’s going to be one more thing, you know, that you’ve gotten through school on. And, yes, it was hard but not really hard. This is going to be really hard. But when you get through it, and you will, and it is treatable – and you need to get treated because if you don’t get treated, it’s going to very likely be disastrous. But once you get to the other side of it, you can use it. You know, you can use it in your life and in your work and how you approach the world. And you can use it to help other people. And that’s a good thing, you know? It’s not to say this is very much good to say about these illnesses, depression or bipolar illness, but it is to say that on the other side, you know, you can pull back into that memory and pull back into that experience and use it for life. But that you’ve really got to get treated and you’ve got to get treated by somebody who knows what he or she is doing. GROSS: So you’re treated. You haven’t had an incident in a long time, as the way I understand it. You tell students to, like, to use it, to use the disorder. So do you feel like you do that yourself? I mean, obviously you use it as subject matter. It’s the subject that you teach. It’s a subject that you write about. But do you use it experientially, I mean, in addition to drawing on your bipolar experiences of the past? I guess what I’m asking is now that you’re treated, do you have any of the benefits of the mania because if mania helps kind of unleash some of the creativity that’s there before – you know, before it gets to the point of being, like, dangerous to the person and to others, do you still get any of the benefit of that? JAMISON: Well, you know, I think it’s a very interesting question, and I think, yes, probably so. I mean, and it’s always intrigued me. Does it take – can you get the benefits if you have only one episode of mania, say? Well, I don’t know. I mean, I didn’t get very many benefits from my manias. I mean, I got in a lot of trouble and a lot of difficulty. I may have gotten a lot of work done, but one of the things I think in this day and age people are kept at much lower lithium levels than when I first was on lithium. When I was first on lithium, I was pretty gorked and was getting a lot done. But now I feel like I sort of zip around with the same level of enthusiasm that I used to have when, you know, I was adolescent before I ever got psychotic. So – and I think that’s true for a lot of people on medication that, you know, you get accommodated to the medication and in this day and age lower levels of it. You don’t have to sacrifice – I don’t think it’s an either/or sort of thing. I think every person has to learn the limits of how far they can push their mind, of how far they can risk, you know, sleep – losing sleep, risk doing this, that and the other thing. And I think most people at some point just say it’s simply not worth it to me to get manic again. I mean, I would be terrified to get manic again. I don’t see that kind of benefit from it. I do think that, perhaps, along the way, you know, my thinking bubbles a little bit more than it used to. And that still happens. I mean, it’s not like that – it’s not like you just sort of sink into a swamp once you get medicated. You know, your brain still is out there, you know, bubbling along and coming up with things. GROSS: Kay Redfield Jamison, thank you so much for talking with us. JAMISON: Well, thank you. Delighted to. GROSS: Kay Redfield Jamison’s new book is called “Robert Lowell, Setting The River On Fire.” After we take a short break, Lloyd Schwartz will review the new DVD Blu-ray release of the 1965 Orson Welles film “Chimes At Midnight.” This is FRESH AIR.